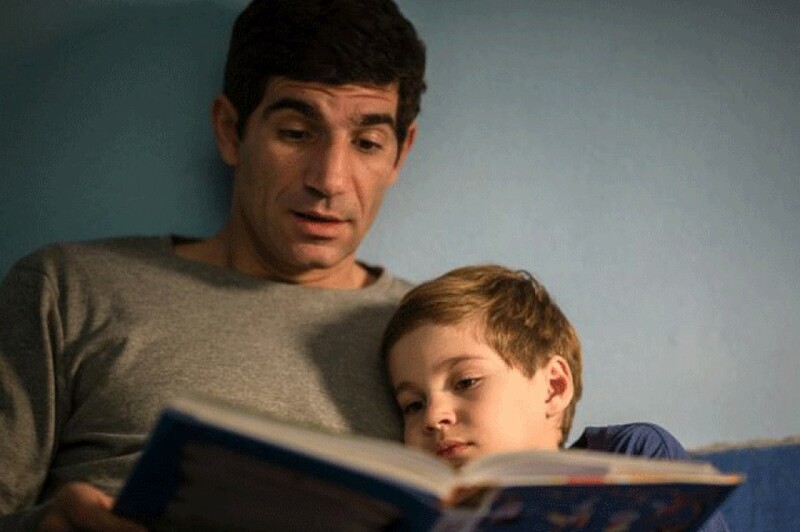 CIFF 2015 Interview: Corneliu Porumboiu on "The Treasure"
Steeped in pathos and laced with a biting social humor, the films of Romanian filmmaker Corneliu Porumboiu are blackly ironic and intricately structured stories animated by a sense of anxiousness, with a bracing observational humor. The director’s new film, “The Treasure,” is another rigorously made comedy of manners and social mores that meditates on Romanian history and politics. This is a deft fable about a couple of disaffected and solitary dreamers who undertake an unusual quest to strike it rich. Desperate for cash to stave off the foreclosure of his Bucharest apartment, Adrian (Adrian Purcarescu) captures the fancy of his apartment building neighbor Costi (Toma Cuzin) with the legend of his great-grandfather. A Greek émigré of vast wealth, the man reportedly buried a fortune in the family’s vast estate in the countryside to avoid detection after the communists seized power in 1948. Adrian convinces the withholding Costi to advance him the money to pay for the special medal detection equipment and offers to cut him in on half of whatever booty they uncover. The third major character is Cornel (Corneliu Cozmei), the metal specialist the two enlist to survey the family estate. The nonprofessional Cozmei works as an actual metal detector operator, consistent with a work that had its origins as a documentary. “The Treasure” is filled with references to Romanian history—the 1848 Wallachian Revolution that introduced broad social reforms, the annihilating four-decade communist rule and the fall of Nicolae Ceausescu that marked the 1989 revolution. Corneliu Porumboiu intersected those two magisterial works. His rueful and sardonic political satire, “12:08 East of Bucharest,” won the Camera d’Or for best first feature at the 2006 festival. His touch was more glancing and indirect though his concerns of history, culture and the moral and political wreckage of the country’s post-communist identity following the 1989 revolution very much overlapped with the other New Wave figures. His Beckettian second feature, “Police, Adjective,” was a pungent and exhilarating work about ideas and language framed through the critical perspective of a police officer whose personal opposition to the state’s draconian drug laws leads to an act of professional dissent. In documenting the quotidian actions of the officer, Porumboiu presents a scrupulous and deeply moral vision of the present. His third and most enigmatic feature, “When Evening Falls on Bucharest or Metabolism,” is a meta-autobiographical fantasia about a filmmaker (Bogdan Dumitrache) and his on-set affair with his lead actress (Diana Avramut) that complicates his current shoot and occasions an existential crisis about his own art, creativity and talent. “The Treasure” premiered at Cannes, and won a special prize in the Un Certain Regard section. During a recent interview from New York, Corneliu Porumboiu talked about process, working actors and being connected to this vital and consistently impressive national movement. I understand this film had a much different genesis than your other films. It was a documentary in fact. Adrian Purcarescu, who plays the character of Adrian in the film, is an actor and filmmaker. He started to make a movie about 10 years ago. He was acting, directing and producing the movie. He didn’t have the money to finish. In the beginning, I said let’s try to do it together and also speak about the scenes you were never able to shoot. I could see that he was not entirely comfortable with that because we were talking about a film that he wanted to shoot. So I built this story about this treasure. I said, let’s go there and try to find this treasure. I went there with a film crew and a metal detector specialist, and we didn’t find anything. At the same time, one day I was sitting in the garden and I felt this strangeness come over me. I felt like the garden was a character, something alive in a way and I felt that something was there. I felt we were trapped in a dark hole. I said we have to do something to get out of here. I decided to write it like a fiction. I kept the character of Costi and I kept the character of Adrian. I knew that I needed a main character, and I built the whole story around Costi. The visual style subtly changes. The way you frame characters magnifies the idea of transaction. Everything is a form of exchange, like how Costi addresses his son or interacts with the metal specialist Cornel. The first half is in the city, and you have these types of ceilings. There’s a certain type of prison. The main character makes you think that he’s not very happy. He’s not feeling very happy at work. I wanted to have it darker and tight, and then introduce more natural light. When I was creating the characters and in the casting, Costi was telling this story to his son but he’s not really proud of himself. The son is a kind of mirror. Costi is a guy who in many ways in very free, and the way he moves it is almost like that of an animal. He still has that certain type of naiveté. The wife is more stable, more attuned to life and how things work. Costi has this need for something else. You work in a durational, long-take style that is, I suspect, very demanding for your actors. Do you have a long rehearsal process? I spend a lot of time in the casting period. I pass through almost all the text. I’m speaking with the actors, we talk about the characters, and I ask about their own idiosyncrasies and find something the characters have in common with the actors. At the same time I’m trying to always be very fresh on the set. All the time I have to work so the actors do not appear very mechanical. I want them more natural and relaxed. All the time I’m working with the casting and the repetition, I’m very careful not to exhaust the material in order to be free when I’m shooting to try and change things and be alive in a way. Tonally your films are very complexly structured, mixing satire, comedy, absurdity and the wry or deadpan. The object is to find a good and proper tone for this film. The situations, from the script, suggest a comedy. The beginning could be more situational comedy and also more juicy, in a way. I tried to find the right tone and the right distance. Speaking with the actors, I worked with them during the shoot. The dialogue is like my other films. People are talking about things but maybe they are thinking something else. The other interesting visual conception of your films is how you delineate space. The Bucharest material is tight and restrictive contrasted with the Islaz scenes that are more open. I think it depends on each project. My conception about space has changed during the years. In “12:08,” everything is set around the places and set up of the television show, but the movie was dealing with reality in a way and it was shot like a stage [play]. In “Police, Adjective,” it was this conception that was much more realistic. In “Metabolism,” I wanted to have a very deep impression of space. Here I was thinking of space. This film has three parts in way. There’s an apartment period. In the second part, in the garden, it was open but at the same time it’s closed, another type of freedom. The third part is more open, with the grass and natural light, and I think it’s quite different. Three types of space. A lot of interiors in the first part, artificial lighting in the backyard in the second part, and the third part is a mixture of interiors and exteriors. With every movie that I make, I also question myself and what my place is. It was definitely in my last film and the second [“Police, Adjective”] as well. In this case, it was funny because you have the character of Cornel, who with this machine is trying to find things. It was a very theoretical way to think about cinema. You have made four features. Do you view them as chapters of a larger whole or individual works? Of course they are chapters. Each movie that I make it’s like a documentary, it’s something that bothers me, or let’s say that I arrive at the end to open another question. I think often to myself that making movies is like being inside a huge house. You open a door and you find another door or find another room. All the times there’s another door to open, and there is always another adventure. I liken it to that. I do it out of necessity. At the same time I think each movie is connected in a way. You are part of a national movement that is typically referred to as the Romanian New Wave. Is that how you see it? Do you feel like you are a part of a larger cultural movement inside your country? In Romania the last 10 years there have been a lot of movies that have come out of here. I think it’s a great generation of directors. All of us are mainly, we are almost the same age. It’s something that is coming with the generation, great generation of directors and filmmakers, people who were teenagers when the revolution came. It’s not a wave in Bucharest. It’s not a wave in television or historical point of view. It’s more about the relative young directors who at the beginning, they made a few movies that question our society or question ourselves in the present Romania. There are films in common; I think each one now I feel they are quite different. Next Article: CIFF 2015: “The Club” Previous Article: CIFF 2015: "A Very Ordinary Citizen," "Stinking Heaven," "Looking for Grace"